2004 picture of Beavers founding member and original President Ross Melhuish at the 44th annual Toronto & District Championships. Also known as Ruthless Ross in the Combat circles. Ross was the first president and a founding member of the Balsa Beavers Model Flying Club. George was the first president of the United States. 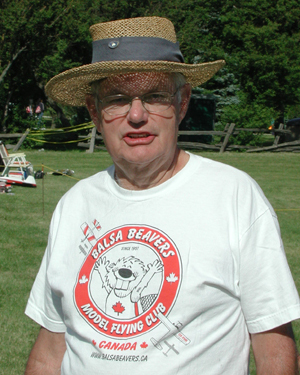 Chris was re-elected president of the Balsa Beavers Model Flying Club in November 2012. Pierre is a past Prime Minister of Canada and best known for establishing the Charter of Rights and Freedoms within Canada's constitution.